The identification of neoantigens is a crucial step in the development of neoantigen-based personalized cancer vaccines and other immunotherapies. The identification of neoantigens has become a critical step in the development of neoantigenbased personalized cancer vaccines and other immunotherapy applications. 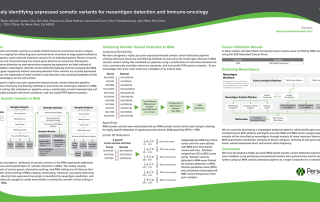 Somatic copy number variations, or CNVs, are frequent occurrences in the tumor landscape and thedetection of these events remains a challenge. 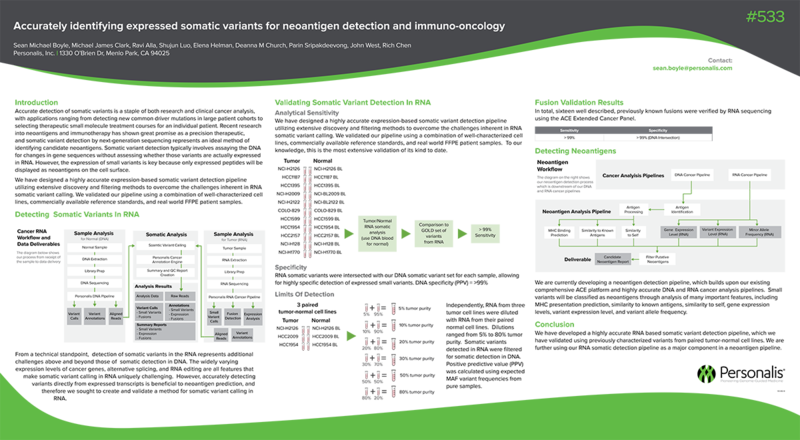 Neoantigen identification, or the detection of tumor-­specific variants, is a critical step inpersonalized cancer vaccine development.